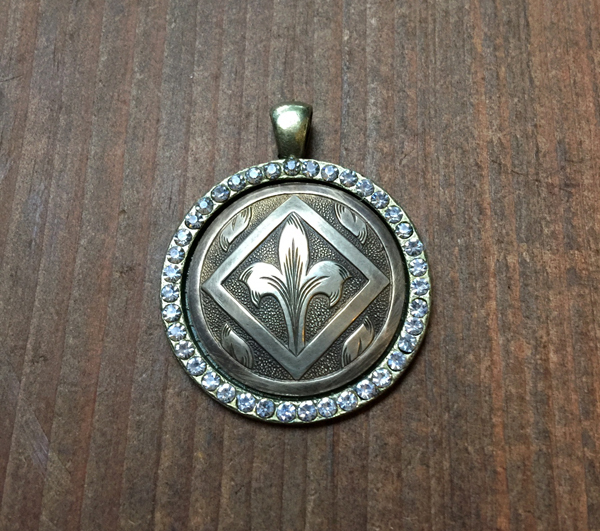 Pave set cast bezel with fixed bail frames vintage die struck and dapped brass finding with carved fleur de lis ornament. Brass ornament measures approximately 28mm in diameter, and bezel measures approximately 35mm in diameter. Sold by the piece.